Apple released the second developer beta for iOS 12.1 to testers on Tuesday, Oct. 2. 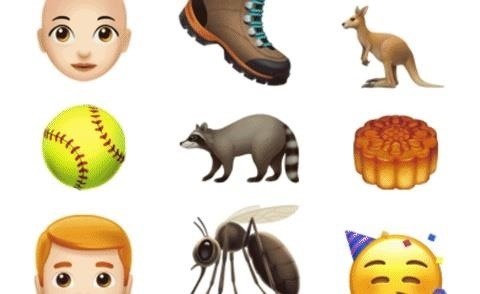 The new update features over 70 new emoji, including emoji with red hair, gray hair and curly hair, and an emoji for bald people, among many others. It also introduces a fix for iPhone XS and XS Max suffering from charging issues, that some have dubbed "Chargegate." The addition of new emoji was a surprise to see — Apple announced the news via a press release coinciding with the release of dev beta 2. The company issued release notes for the update shortly after the dev beta 2 went live — not immediately as they had before in other betas (i.e., non-iOS 12.1 betas) — but they contain no new information. No resolves. No issues. Nothing. In addition, the update solves charging issues experienced on iPhone XS and XS Max. Affected users would not be able to charge their iPhones while the device in question was sleeping. While a series of workarounds existed before the patch, 12.1 beta 2 is sure to be welcomed by those experiencing the issue. To download and update your iPhone to iOS 12.1 dev beta 2, you first need to be a registered developer with a valid configuration profile. If you have iOS 12's new "Automatic Updates" enabled, you can let the software update overnight. To download the beta right now, however, launch the Settings app, select "General," then "Software Update." Tap "Download and Install," then follow the on-screen prompts to download and install iOS 12.1 dev beta 2. Apple's release notes do not indicate any bugs that are present in the 12.1 beta. IOS 12.1 reintroduces Group FaceTime for iPhones. Apple shelved the feature, which premiered during Apple's WWDC presentation in June, with iOS 12 dev beta 7. The company confirmed FaceTime calls with up to 32 people would not appear with the official release of iOS 12, and instead would ship in a subsequent update "this fall." Unless Apple delays this feature to iOS 12.2, it appears 12.1 will be the update indicated above. Another notable feature is the ability to choose your level of focus in Portrait Mode on the iPhone XS and XS Max before taking your picture. Out of the box, these new iPhones only allow you to change the level of focus after the picture has been snapped.